CableSAFE® is designed to create a safe and secure walkway over exposed conduit, pipes, cables and wires. 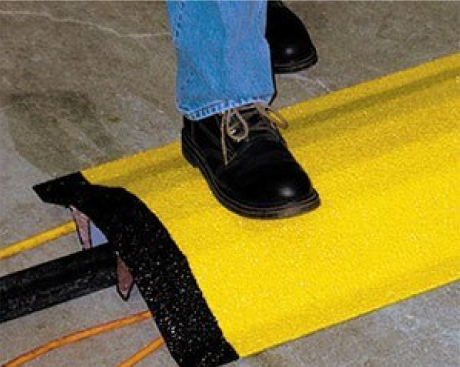 With a hardwearing anti-slip surface, CableSAFE® provides a secure bridge to handle foot traffic over these types of areas in order to avoid accidental falls, slips or trips. 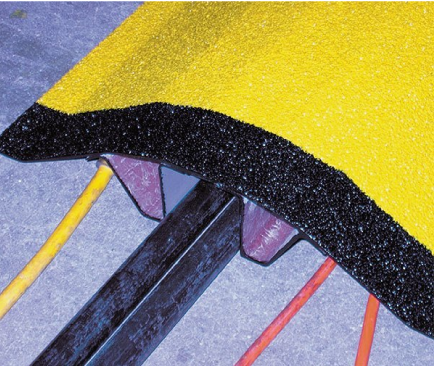 CableSAFE® is also an economical, lightweight and corrosion resistant solution. Custom and standard pipe and cable covers are pre-fabricated for easy installation. Securing them is also an easy job with stainless or galvanized steel fasteners. Fasteners are also be pre-drilled.